Last minute talks are due to be held at conciliation service Acas between Transport for London (TfL) and the RMT union, aiming to resolve the dispute which has led to drivers on the Piccadilly line planning to hold a strike that will stretch across four days this week over working conditions. The union are planning to hold the industrial action between 9pm on Wednesday 11 July and 1am on Saturday 14 July. Donald Trump is due to visit the UK on 13 July, though most of his stay will take place outside London, where protests are planned, including the flying of an 'angry baby' balloon over the Houses of Parliament. The union say they are taking action after what they describe as a series of attacks on working conditions and staffing levels that have turned the line into a pressure cooker. 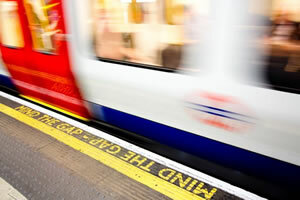 They claim there is a continued failure by London Underground (LU) to employ enough drivers, continued problems with the ageing Piccadilly Line fleet and the repeated breaking of ‎agreements which has tipped industrial relations over the edge. It was recently announced that LU have awarded a contract to build a new fleet of trains for the Piccadilly line but these won't be in service until 2023. General Secretary Mick Cash said: "There have been repeated problems on the Piccadilly Line going back a number of years which have led to dispute after dispute and the failure of LU management to get a grip has tipped the situation over the edge yet again. That is why we have had no option but to put on these strike dates. "Every effort by RMT reps to negotiate a settlement has been obstructed by the company and it is now down to LU bosses to start listening to their members, take the raft of issues at the heart of this dispute seriously and start engaging in a way that will allow us to make some genuine progress." Nigel Holness, director of network operations at LU, said: "We urge the RMT leadership to work with us constructively on the local issues they have raised rather than threaten to disrupt our customers. "We remain available for talks to prevent any unnecessary industrial action on the Piccadilly line." Separately, strike action is also planned by train maintenance staff at the Central Line Ruislip depot in a row over pay. If it goes ahead, it will take place from 7am on Thursday 12 July to 7am on Friday 13 July,then from 7pm on Friday 13 July to 7am Saturday 14 July, and from 7am on Sunday 15 July to 7pm the same day.